Located on San Diego Bay, the historic Broadway Pier was built in 1913 and is 800 feet long. It was remodeled in the 1970s, undergoing a stunning transformation. In the heart of downtown San Diego, in the historic Embarcadero district, Broadway Pier is open to the public 24 hours a day, except for when there are private events taking place. Broadway Pier is one of our favorite event venues because its versatility, with both indoor and outdoor event space. Offering gorgeous views of the bay and the San Diego skyline, Broadway Pier is a truly unique venue for corporate events. A San Diego event management company, On The Scene has experience planning, coordinating, designing, and producing a wide variety of corporate programs on Broadway Pier. 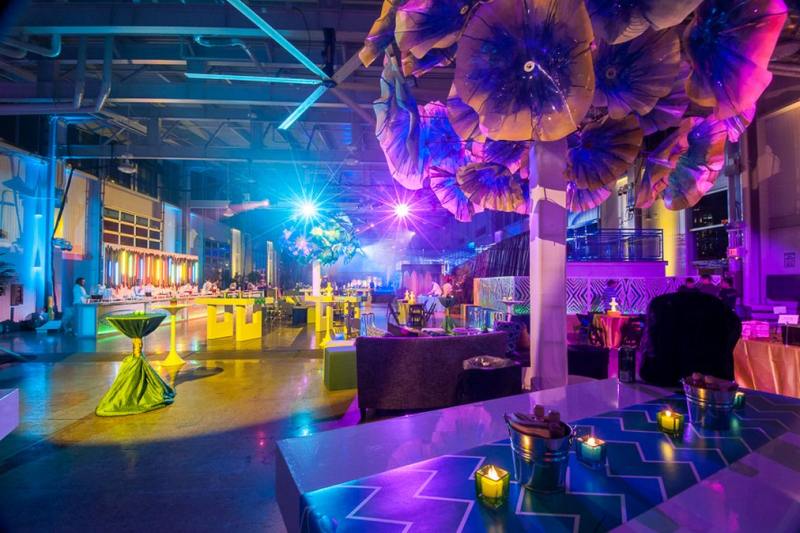 We understand how to coordinate with on-site event coordinators to create a unique event experience that meets your company’s brand and event goals. We become an extension of your team, working as your behind the scenes event partners. Port Pavilion is the main event space on Broadway Pier in San Diego. It serves two purposes, as a cruise ship terminal and also as an event venue for a wide variety of special events. Offering 52,000 square feet of event space, Port Pavilion has over 7,550 square feet of windows, providing stunning views of the bay and plenty of natural light. It can accommodate up to 2,500 guests and can be set up in a number of ways, offering plenty of options. Port Pavilion has hosted a wide variety of events, including the America’s Cup World Series, which is an international sailing competition. One of the most unique features of Port Pavilion is the outside of the building, which was designed by artist Leni Schwendinger and is called “Tidal Radiance,” as it is lit up in shades of gold, green, and blue once the sun goes down. Port Pavilion features an open floor plan and high ceilings and provides the perfect setting for corporate receptions, formal dinners, conferences, cocktail hours, and a wide variety of special events. As an award-winning San Diego destination management company, On The Scene is committed to producing one-of-a-kind corporate event experiences. 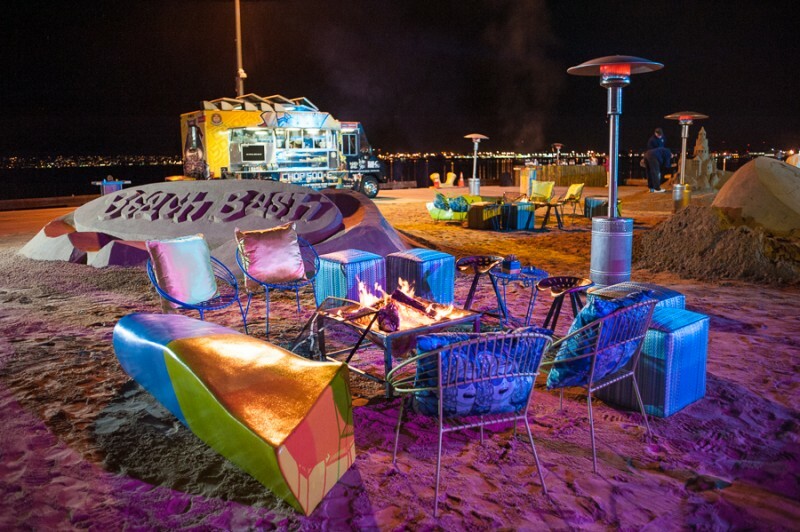 We have produced corporate events on Broadway Pier, including a fun beach party with food trucks featuring local cuisine. If you’re interested in hosting your upcoming corporate event on Broadway Pier in San Diego, contact On The Scene today to speak with one of our experienced event managers!